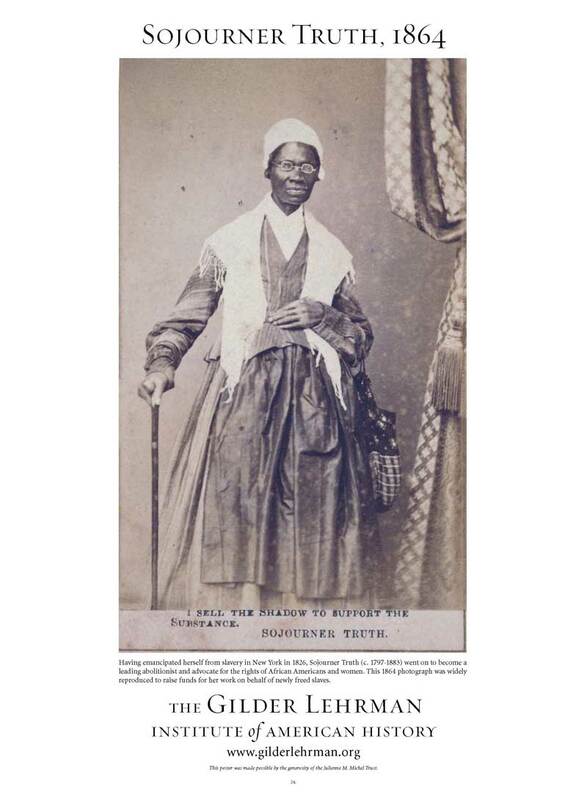 Poster Caption: Having emancipated herself from slavery in New York in 1826, Sojourner Truth (ca. 1797–1883) went on to become a leading abolitionist and advocate for the rights of African Americans and women. This 1864 photograph was widely reproduced to raise funds for her work on the behalf of newly freed slaves. These posters are 22" x 30", full color, and printed on a semi-gloss ivory stock. Each one features a caption that places the image in historical context.